Talk not aimed at joining Warisan Govt: LDP | Daily Express Online, Sabah, Malaysia. 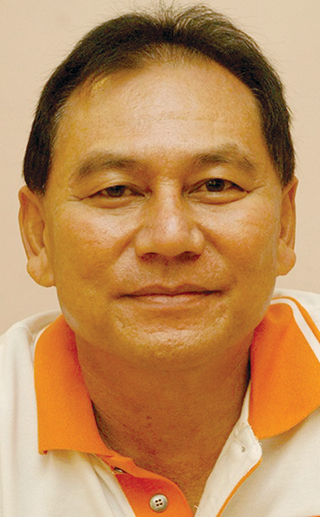 Kota Kinabalu: The Liberal Democratic Party (LDP) did not say anything about joining the Warisan-led State Government, said its acting president Datuk Chin Su Phin (pic). He also denied sweet talking about Warisan with the intention to join the new administration. Chin said he was merely speaking the truth about the policies and measures that the federal and state governments have done right, particularly the anti-corruption efforts, when officiating the two joint LDP divisional conferences, recently. He said LDP was not in a rush to align itself with other political parties and that, moreover, it was premature to evaluate the performance of the Warisan State Government which had only been in power for a few months. Nonetheless, he believed that the people would continue to vote for the Warisan-led State Government if the latter demonstrated a fair and corruption-free administration. He said LDP aspired to be a responsible and constructive opposition party. "As a responsible opposition party, we will support good policies introduced by the government. "At the same time, we will speak up against government policies that do not benefit the people." He said LDP would work on strengthening the party to face the next general election. "After all, LDP is still the only local party that has earned the respect and acceptance of the people." He was commenting on Warisan Supreme Council member Martin Tommy's statement that it was not keen to accept LDP into the State Government as the latter had suffered a humiliating defeat in the last general election. Martin, who is also political secretary to Minister of Law in the Prime Minister's Department Datuk Liew Vui Keong, said LDP had lost its bargaining power when all its contested seats were lost during the 14th General Election (GE13). He also said Chin was not a "trustworthy politician" as the latter had campaigned against Warisan in the last general election. Chin said LDP was well aware that it did not have bargaining power anymore and that the people decided for a change of government. "Despite losing all our seats, I am happy to see a change happening in Malaysia," he said, in a statement, adding it was unfair that his words were taken out of context. "Perhaps someone is worried that our party will work with Warisan one day," he said, and that LDP was a party that upheld its principles. "Since we chose to contest under Barisan Nasional (BN) in GE14, we of course campaigned against the then opposition during the election." Although having lost all its seats, Chin said LDP, the only local party in Sabah, was still being supported and respected by the people as it still held on to its principles. Chin said he was surprised to learn that many young people were joining LDP, even though the party was now in the opposition. He added that the members have also not deserted the party after GE14. "We are even expecting a tough contest for the Supreme Council posts in the coming party election." He hoped that the people would lodge a report with Malaysian Anti-Corruption Commission (MACC) if they encountered any officers who deliberately give them a hard time in approving applications. "Anyone who does not have the courage to approach MACC can contact LDP, or me," he said, adding even ministers who were involved in corrupt practices should be taken to justice.